Carol R. Mitchell, age 72, of Sullivan, Missouri, passed away on Thursday, November 8, 2018 at Life Care Center of Sullivan. Carol Ray was born on February 18, 1946 in St. Louis, Missouri, to the late Billy R. and Virginia V. Hanes. She grew up and attended school in Belleville, Illinois. Carol was united in marriage to Stanley Mitchell on April 21, 1964 in Belleville and they were blessed with five children. Soon after, they relocated to Maeystown, Illinois to raise their family. In 1990, Carol relocated to the Sullivan area to be near her mother. Carol worked at various jobs through the years, but most notably enjoyed her time working at the Strain Store, where customers would often stop just to chat and check in for the day. Carol was extremely proud of her family and enjoyed spending time with her grandchildren. Her grandchildren knew her as Maw Maw and enjoyed visiting with her, playing board games and listening to her stories. Carol was an avid reader, loved crocheting, gardening, cooking and playing games. She will be missed dearly by her family and friends. 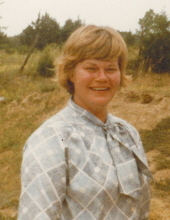 Carol is survived by five children, Susan Massie and husband Stephen of Millstadt, IL, Melissa Spurgeon and husband Ryan of Sullivan, Jeannie Jenkins and husband Kenneth of Sullivan, Sara Cox and husband Andrew of Sullivan, and Stanley Mitchell, Jr. and wife Christine of Fergus Falls, MN; ten grandchildren, Tiffany and Michael Mitchell, Meghan and Taylor Massie, Kayla and Rylee Spurgeon, Zachary and Cameron Jenkins, and Evan and Emma Cox; other relatives and many friends. She was preceded in death by her infant son, Steven; one grandson, Craig Schmidt; and her parents, Billy R. and Virginia V. (Fortman) Hanes. Visitation will be held from 8:30 AM to 9:30 AM, Saturday, November 17, 2018 at Grace City Church in Bourbon, MO. A Remembrance Memorial Service will then be conducted at 9:30 AM, with Sean Adams officiating. Refreshments will be served following the memorial service and then inurnment will be held in Woodmen Cemetery in Leslie, MO. To send flowers or a remembrance gift to the family of Carol R. Mitchell, please visit our Tribute Store. "Email Address" would like to share the life celebration of Carol R. Mitchell. Click on the "link" to go to share a favorite memory or leave a condolence message for the family.